Ride-on inflatable shark with handles. The graphics make this shark realistic looking. Very durable construction of heavy duty vinyl. 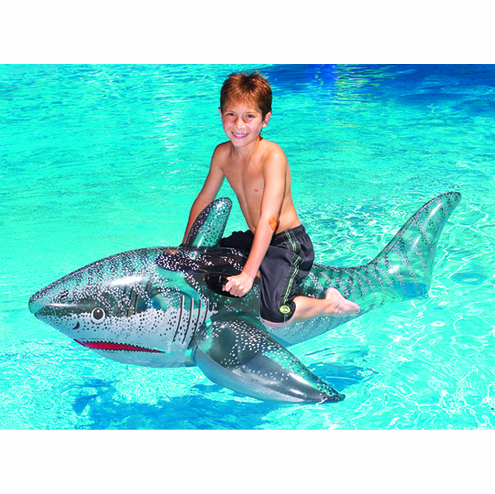 Kids will have fun riding around the swimming pool or lake on this 72" shark.